VMware (s vmw) has acquired Cetas, a Palo Alto, Calif.-based big data startup that provides analytics atop the Hadoop platform. Terms of the deal haven’t been disclosed yet, but Cetas is an 18-month-old company with tens of paying customers, including within the Fortune 1000, that didn’t need to rush into an acquisition. So, why did VMware make such a compelling offer? Because VMware is all about applications, and big data applications are the next big thing. 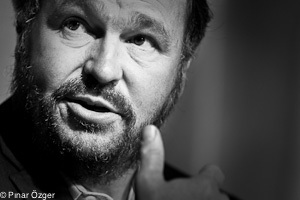 Hypervisor virtualization is the foundation of everything VMware does, but it’s just that — the foundation. VMware can only become the de facto IT platform within enterprise data centers if applications can run atop those virtualized servers. That’s why VMware bought SpringSource, GemStone and WaveMaker, then actual application providers Socialcast and SlideRocket. It’s why VMware developed vFabric and created the Cloud Foundry platform-as-a-service project and service to make it as easy as possible to develop and run applications. 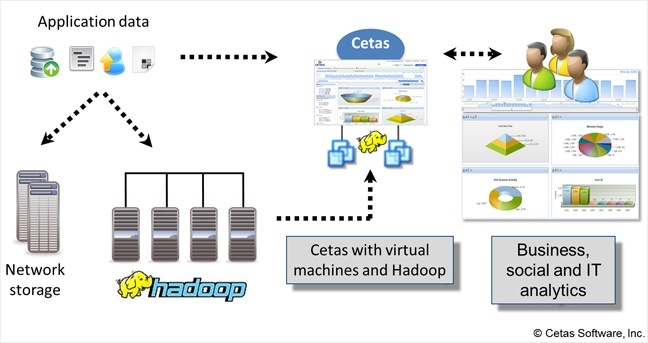 Cetas is the logical next step, a big data application that’s designed to run on virtual resources — specifically Amazon Web Services (s amzn) and VMware’s vSphere. In fact, Co-Founder and CEO Muddu Sudhakar told me, its algorithms were designed with elasticity in mind. Jobs consume resources while they’re running and then the resources go away, whether the software is running internally or in the cloud. There’s no need to sell physical servers along with the software. It doesn’t hurt, either, that Cetas can help VMware compete on bringing big data to bear on its own infrastructure software. As Splunk’s huge IPO (s splk) illustrated, there’s a real appetite for providing analytics around operational data, coming from both virtual machines and their physical hosts. In this regard, Cetas will be like the data layer that sits atop virtual servers, application platforms and the applications themselves, providing analytics on everything. Sudhakar said this type of operational analysis is one of Cetas’ sweet spots, along with online analytics a la Google and Facebook, and enterprise analytics. The product and includes many algorithms and analytics tools designed for those specific use cases out of the box (it even gives some insights automatically), but also allows skilled users to build custom jobs. Going forward, Sudhakar said Cetas will continue to operate as a startup under the VMware umbrella — which means little will change for its customers or business model — while also working to integrate the software more tightly with the VMware family. Muddy is a fast talking con. Vmw got gyped. At the end of the day, which platform one will chose depends on technology versus costs, the lowest cost technology will have the best way of survival, watch your costs so that it will not shoot to the sky.